Article 6: The 1 Yuan China Architecture Value The 1 Yuan value of this series is one of the more commonly used values. This web site contains a section showing the most commonly used China Architecture definitives. Article 15: The 2 Yuan China Architecture Value I show details of printings that are representative for this issue. I also include a page of usages of the 2 Yuan with other architecture definitives, and a page with uses with commemoratives. Article 25: China Sculpture High Value Definitives These high values are sometimes found on large format covers to American universities. I also include here a page dedicated to the 2 yuan, and another page to the other three values (the 5 yuan, 10 yuan, and 20 yuan values). Article 75: Hong Kong 2002 Definitives Here are the low values of this series. I show here the low values, high values, and three selections from high value usages. Article 98: China High Value Bird Definitives This article has a main page with large images of the bird definitives, and a page showing the express mail pieces. Article 339: China ancient calligraphy souvenir sheet This sheet shows calligraphy samples. 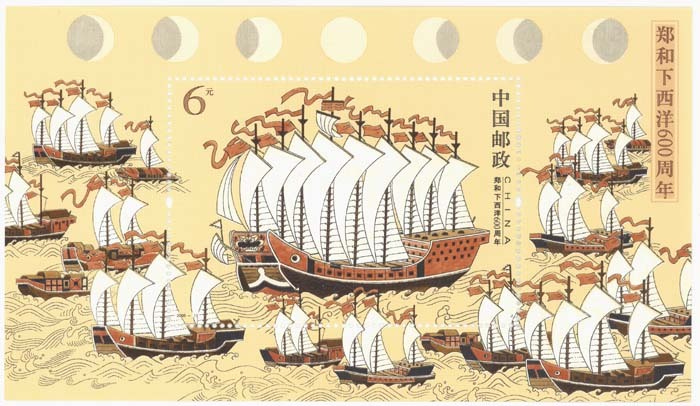 Article 382: China Three Kingdoms issue of 1990 These stamps show scenes from this important work of literature. Article 388: China Three Kingdoms issue of 1992 Here is an installment of a series dedicated to this novel. Article 396: China Folk Houses Definitives on cover These details are from bank covers. They show the Folk Houses definitives. There are some postal code postamrks as well as the older style postmarks.